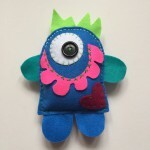 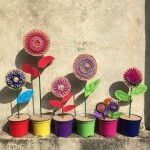 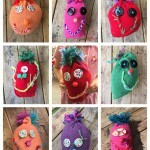 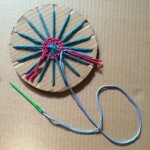 This is a great activity to use up yarn scraps and get kids learning an age-old technique. 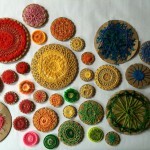 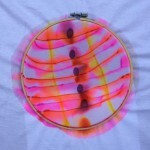 You can use wool, string, twine, ribbon, embroidery thread or raffia for these weavings. 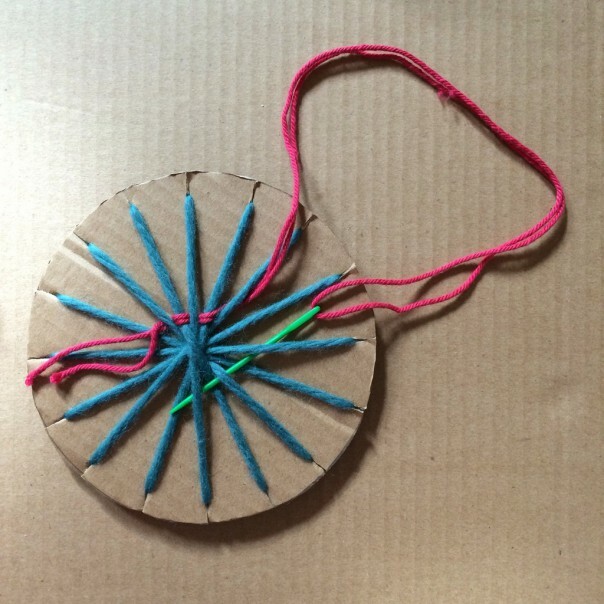 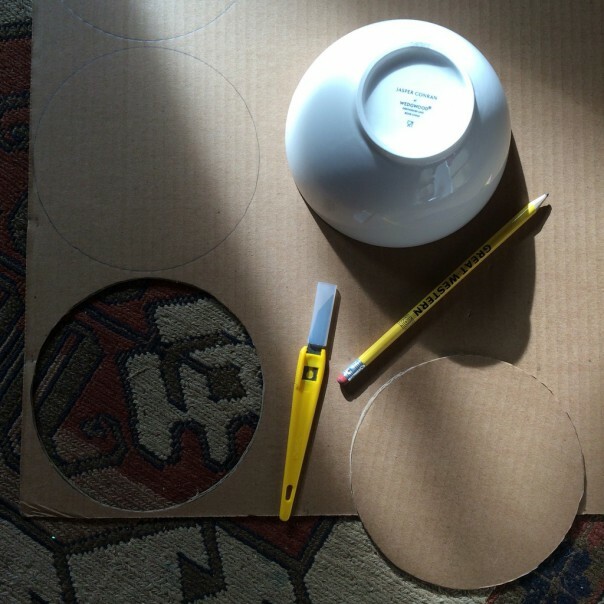 Draw a circle on a piece of cardboard and cut out using a craft knife or scissors. 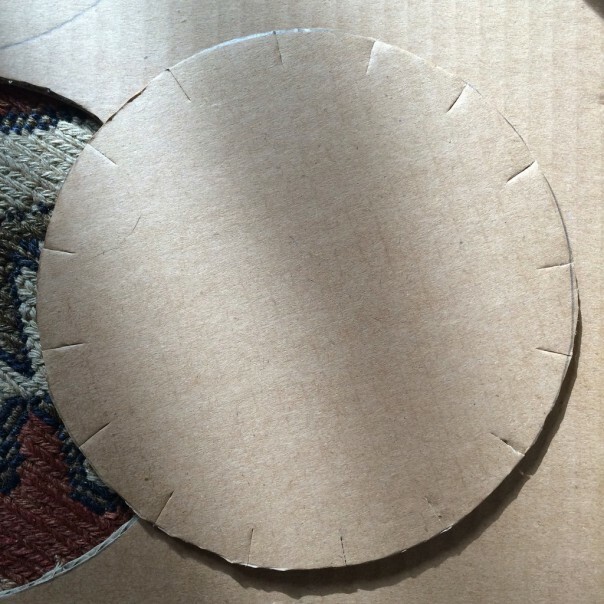 Make small cuts around the edge of the cardboard circle. 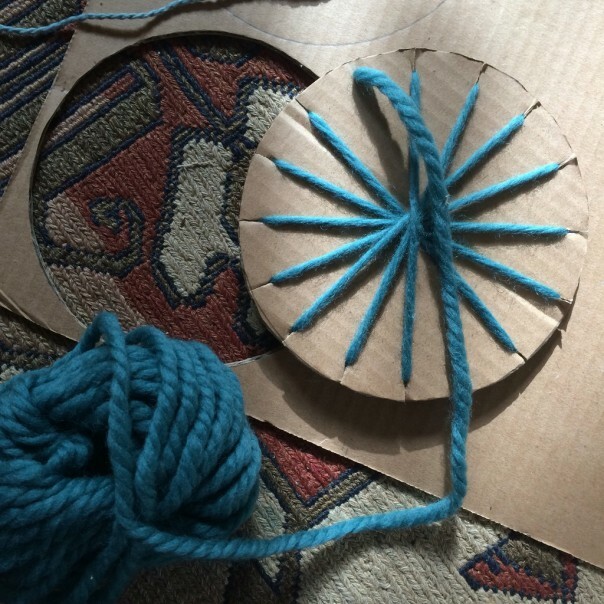 Wind some wool around the small cuts like bicycle wheel spokes. Secure the loose ends on the back with tape. Thread a different coloured yarn on a wide eyed needle and start weaving through alternate spokes of the wheel. 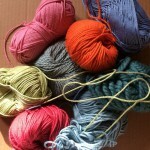 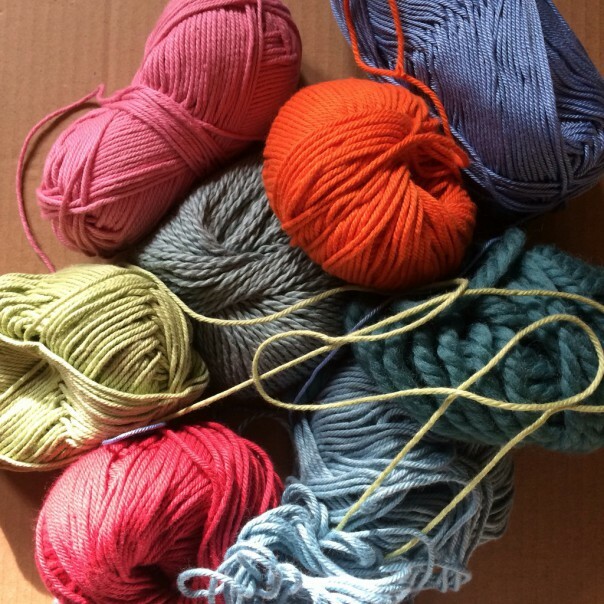 At the end of the thread, tie a new coloured yarn to the end and continue weaving. 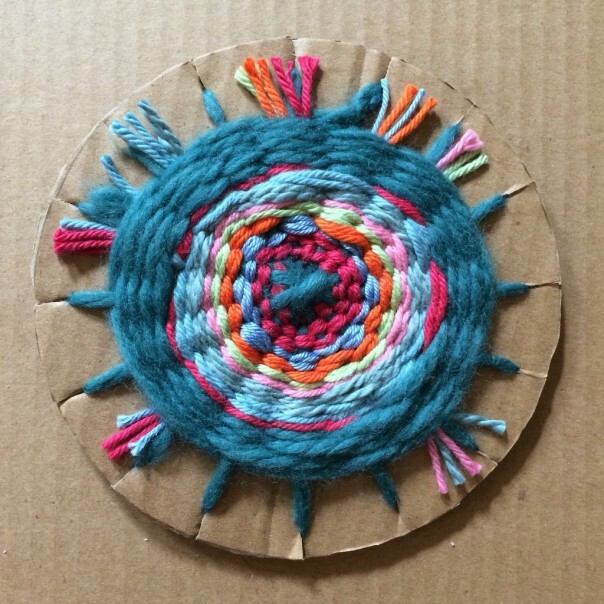 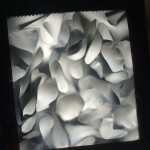 Continue weaving until the circle is full. 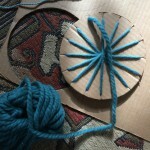 Keep the weaving on the cardboard base to display.